What is and isn’t included in the rental payment? Is the electricity supply reliable? Do U.S. cell phones work there? How do we get from the airport to Casa Colibri? What about medical care for emergencies? Is the community pool heated? Can Casa Colibri’s private kid-safe pool be heated? What is and isn't included in the rental payment? Housekeeper/chef: whether you take the meal plan or bring your own food, she will prepare your meals, set the table, clear the table, wash the dishes, glasses, cookware and flatware and put them all away (but see "what isn't included" below, if you have more than four people in your rental party and do not take the meal plan). She will keep the house clean, including the bathrooms and bedrooms and will make the beds. Free heating of the kid-friendly private pool (maximum temperature is 83° F). Free in-house WiFi internet. Please call owner Oliver Korshin at 907.346.2143 or email him at korshino@gmail.com for details about Internet accessibility. The $15.00 USD daily cost of a housekeeper helper if you have more than four people in your rental party and do not take meal plan. This is because the housekeeper/chef cannot prepare meals for up to eight people, clean up, etc., and also attend to the daily housekeeping chores. The food plan comes with a helper when there are more than four in the rental party; in this case the cost of the helper is not added to your rent or to the cost of the food plan. If you have more than four people in your party and do not take the optional meal plan, the cost of an assistant housekeeper is $15 USD per day, payable directly to the Rental Manager. Casa Colibri has free in-house WiFi internet via HughesNet satellite, with adequate download speeds for email and light browsing. Streaming movies, videos, downloading music or online gaming is not recommended, because this can rapidly consume the monthly data allowance, and once that is gone — so is Internet access. If you plan to run a heavily Internet-dependent business while you are at Casa Colibri: do not rent this villa, as high-speed Internet connectivity cannot be guaranteed. Most U. S. and Canadian cellular carriers (AT&T, Verizon, T-Mobile, Sprint) "piggyback" over the local cellular networks (TelCel, MoviStar, lusacell). Coverage along mountainous parts of the highway system is spotty, however. The national currency of Mexico is the peso. There are U. S.-friendly ATM's at the Puerto Vallarta airport and at the big box stores (Sam's Club, WalMart, Chedraui, the MegaComercial), all along the highway on your way up to Punta el Custodio. All ATM's offer the same exchange rate on a given day, and charge reasonable fees. Most have instructions in Spanish and English. The closest ATM to Casa Colibri is in Zacualpan, about 25 minutes away by car. Not recommended. Travelers' checks are rarely accepted by local businesses. They can be cashed at banks, but the process is long and complicated. How to we get from the airport to Casa Colibri? There are many car rental agencies in and around the Puerto Vallarta airport. If this will be your first time coming to Punta El Custodio, renting a car is not recommended. Most flights arrive in the afternoon. After going through immigration and customs, picking up the car rental and stopping along the highway to shop, it will be sunset. In the tropics, dusk is very brief, and then it is pitch dark while you are on rural roads, with essentially no shoulders. There is foot and bicycle traffic at all hours, livestock along the highway, and no lighting outside of towns. The last turn-off from the highway to Punta el Custodio is easy to miss in the dark. Besides, you don't need a rental car to get around: Ismael can arrange local transportation for sightseeing, shopping and other activities at reasonable rates. Just let him know the day before. Basic first aid supplies, including an EpiPen, are available at the Gatehouse. There is a good emergency care center in La Peñita, 45 minutes south, where the staff is familiar with "tourist emergencies." For serious conditions, Puerto Vallarta has several well-equipped modern hospitals and access to excellent, English-speaking medical staff, including most specialties. By U. S. standards, medical care in Mexico is almost ridiculously inexpensive. If you are a bug-o-phobic, our part of Mexico is not for you. There can be no-see-ums at dawn and dusk, and their numbers vary with the tides and phases of the moon. They go for your neck, wrists and ankles. We recommend long-sleeved shirts, long pants, socks and scarves for dawn and dusk protection. Bring insect repellent. Although open to the air, Casa Colibri has very few no-see-ums. Mosquitoes are unusual. Various flying insects breed in the summer and can be numerous at night. These insects, some of them large flying beetles, don't bite, but if you our your family find this frightening, it's better to come at another time of year. Pets are not allowed, although we will consider exceptions under special circumstances and with prior permission. Our staff, employed by the Rental Manager, will work very hard to make you comfortable and meet all your reasonable needs. We recommend tipping for good services rendered. Please consider tipping Moña, our housekeeper/chef, about $5.00 USD per adult guest per day. The housekeepers' salaries bring home about $100 USD/week, and several are single moms. Many work for the benefits, which include free medical care via Mexican social security, paid vacations and other perks not commonly offered in our area. No. It is far too expensive to heat an outdoor pool of this size over the winter months. However, the water temperature, even in winter, is usually about 75° F. Casa Colibri’s private pool is heated at no additional charge. 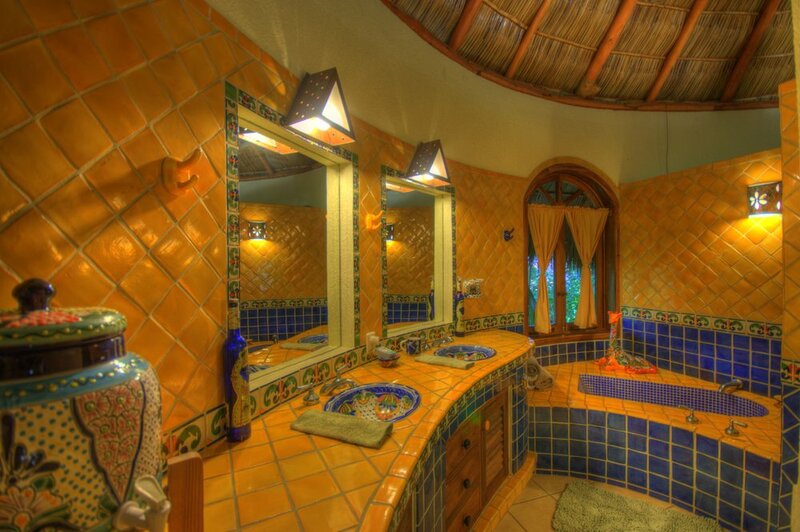 Can Casa Colibri’s private pool be heated? Our private, kid-safe pool can be heated on request, at no charge, to a maximum temperature of 83° F. The pool, immediately accessible from just about any part of the main living area, is a kid magnet. 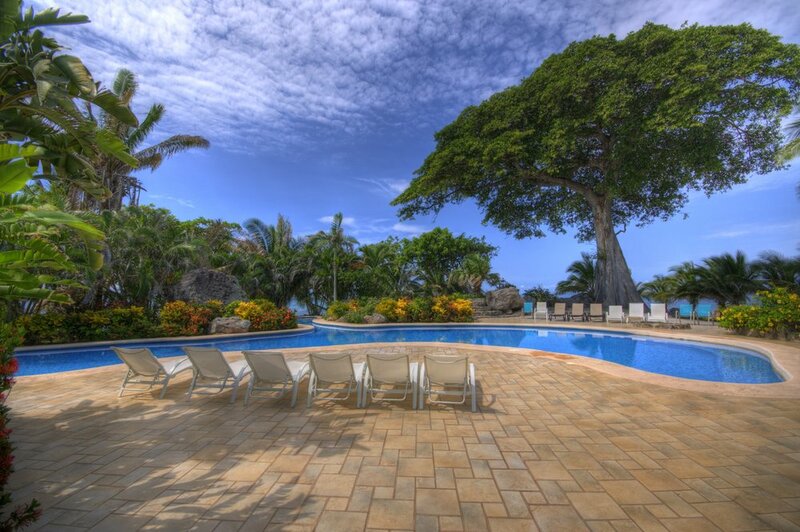 Casa Colibri is the only house in our little development that has such a safe, heated pool. The oceanfront houses have infinity pools with 20 to 30 foot drop-offs onto the rocks below. “Wonderful place to relax by the ocean." We have rented Casa Colibri twice now and it is wonderful. Beautiful open-air main palapa lets you relax indoors and outdoors at the same time, with a great little pool for a quick dip (or longer for the kids!). Rooms are nicely decorated and comfortable, with plenty of room for your stay. Fresh squeezed orange juice and breakfast ready as soon as we arose. All rooms maintained in spotless condition with artfully beautiful personal touches everywhere. Each room is separated from the others and with the open air environment, each maintains privacy but one can still hear the surf hitting the rocks in the evening.The lush tropical grounds are kept trimmed and gorgeous. It doesn't get much better than this. Everything from the house to the landscape of the area was so beautiful. It is in a remote area where you are free to do as you please. No fighting crowds at the beach or small restaurants at the bottom of the hill if you'd like to step out for something different. It was as if paradise was all yours and you didn't have to share with anyone.